I was digging through the ol' collection to rustle up some autumn hues, when there it was, the arguable gem of the Burne-Jones Dream collection, Briarwood. 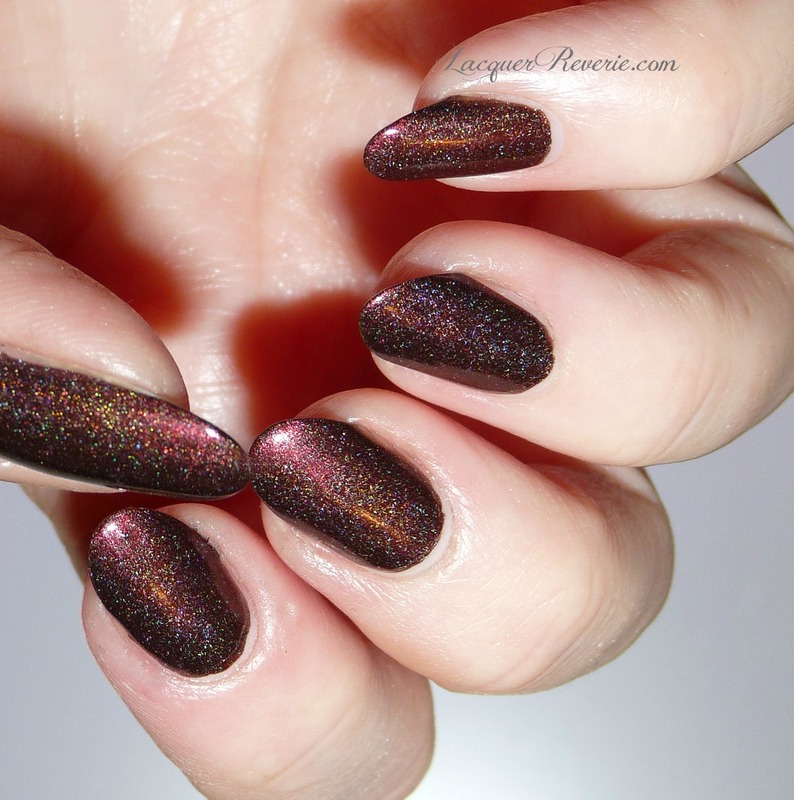 Briarwood is a deep reddish brown color infused with an especially (or it seemed to me) colorful scattered holo. I've only had experience with one other a-England polish, Briar Rose. Briarwood wore for two days before I got a chip versus one day with Briar Rose. That's not to say Briar Rose doesn't wear well; it is highly unusual for me to go two days without a chip. Blasted chemistry!! 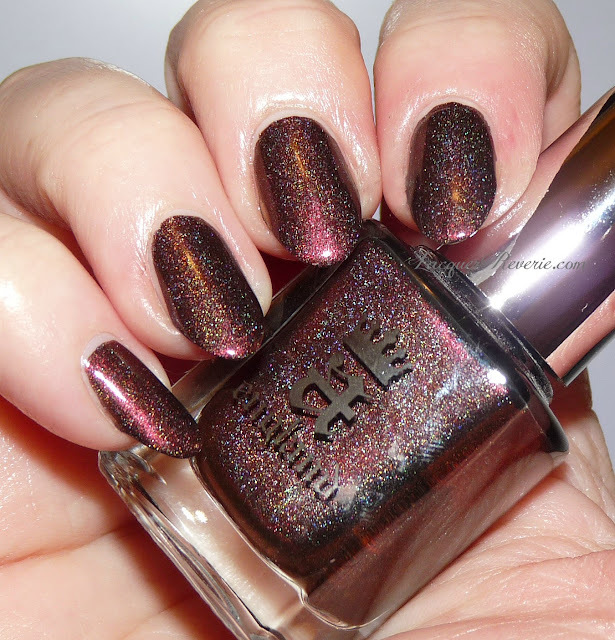 One reason I love holos like this is because I think they look literally dusty. Magically dusty! Briarwood has a lot of gold going on in the holo particles. I used two coats of this very lovely polish. The only issue I had with it was that it did stick a bit to my unpleasantly hard cuticle area. But since I seem to the be the only person in the universe who has that problem, you should be just fine! a-England is available at Color4Nails. What's been your experience with a-England? Great color especially for fall/winter. Blast these a-E holos, they never last on me, either. Nevertheless, it I wasn't currently enraptured by the 99¢ glory that is WetnWild Eggplant Frost, I'd totally join you in this most beguiling color. This color looked great on you, and now that you mention it, you totally convinced me to buy Eggplant Frost too. :D I need to wear that one!! I only have 3 of them, but they are really nice!